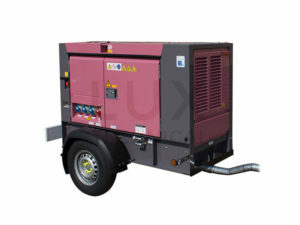 We have a fleet of ultra silent Denyo EVENTA generators for hire ranging from 20kVA to 100kVA. Complementing our generators, we also offer a range of mains distribution equipment for hire along with cabling, protection, practical and decorative site lighting. 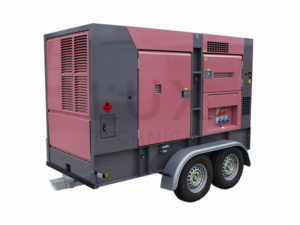 We have carefully chosen the famous ‘Pink Generators’ because of their reliability and ultra silent running characteristics, which make them ideal generators for weddings, parties, marquees and stages at festivals. 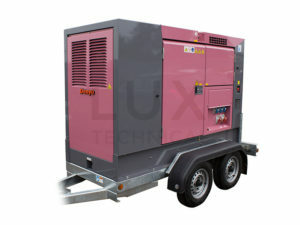 Our diesel generators boast Tier III engine approval and up to 26 hours uninterrupted operation from internal tanks, all are also fitted with connections for external western fuel tanks if longer operation is required. Our Denyo EVENTA generators all come on road tow trailers as standard allowing for easy transport, whether we deliver them directly to you, or you collect from our warehouse in Peterborough.